It appears as though the far-right trolls weren't the ones really pulling the strings. Throughout elections in the US, France, and most recently Germany, there have been questions about the efficacy of the far right's "meme magic" or "meme warfare." In the case of Germany's federal election this week, it appears as though far-right trolls weren't the ones really pulling the strings. What appears to have happened is that Russian bots pushed far-right conspiracy theories on Twitter using bots and sock puppet accounts. They waited for one of their honeypots to catch the eye of a far-right influencer and then used a botnet to amplify it. Then private communities on platforms like 4chan and Discord picked it up and helped push the theory to go viral on Twitter and Facebook. In the weeks leading up to the 2017 federal election in Germany, far-right 4chan users regularly posted what they call "Kraut/pol/" updates. They were long, largely copy-and-pasted posts full of information for far-right German users eager to help campaign for Alternative for Germany (AfD), the country's far-right party. On Sunday, the AfD came in third place. Along with practical information like how to canvas for the AfD, 4chan users also crowdsourced a massive database of memes. The memes were hosted on a large public Postimage folder. The idea was to blast German social media with pro-AfD memes in attempt to create a false sense of consensus and intimidate people who tried to speak out against the party. As far-right social media users in Germany began finding each other on Kraut/pol/ threads, a YouTuber named Nikolai Alexander, who makes videos under the name Reconquista Germanica, invited his 33,000 subscribers to a newly launched Discord server. Alexander's Discord channel quickly grew to several hundred users and began organizing a lot of the chatter that was happening on 4chan and across far-right German Twitter. The night of the first German debate, Alexander attempted to mobilize the Discord channel. He asked users to spam Twitter with the hashtag #VerräterDuell ("traitor debate"). Members of the channel also swarmed real, already-trending hashtags like #KanzlerDuell ("chancellor debate") and #TVDuell ("TV debate"), pushing right-wing fan art into already-trending topics on German Twitter. That same night, a post went up on 4chan's /pol/ advertising Alexander's Discord channel. It also asked users to flood the YouTube stream of the debate and dislike it. Alexander's hashtag campaign wasn't huge, but it did create enough buzz to drive more users to his Discord channel. On Sept. 23, the day before the election, an account called @von_Sahringen tweeted that they would be working at a polling center and would be throwing out AfD ballots. As the Digital Forensic Research Lab reported, @von_Sahringen is almost definitely either a sock puppet or bot account. The account is supposed to appear as a young leftist woman. The avatar is a picture of Pakistani actress Aiza Khan. The account was started in February, but only really started posting in earnest in August. @von_Sahringen's tweets about ballot tampering even caught the attention of the press office of Germany's Federal Election Commissioners, who tweeted out that electoral fraud is a crime. Several hours later the account tweeted that they had been removed from their position at the polling center. Tweets from what appeared to be a young woman claiming to be tampering with votes proved to be too good to pass up for Germany's far-right community. A fairly large influencer named @Hartes_Geld picked up the tweets and called @von_Sahringen a "left cucumber." "Left cucumber" would be like the German far right's equivalent of "libtard." @Hartes_Geld has been a fixture on Reconquista Germanica's Discord channel for a while. Users were sharing his tweets on the server as far back as Sept. 1. Right around the time that @Hartes_Geld picked up the electoral fraud tweets, something weird was happening on Twitter. #Wahlbetrug — the German word for "election fraud" — started to trend in German, as well as parts of Eastern Europe. Here's a GIF tracking the mentions of #Wahlbetrug. Watch the red dots as it hits its peak around 9 p.m. on Sept. 23. @von_Sahringen's tweets weren't the only ones to mention the election fraud conspiracy. Here's the second tweet to use the #Wahlbetrug hashtag. The account's avatar comes from an online store selling hair accessories. And the account's bio says, "Hair, Makeup, Politics, Kek" — the last word is a reference to a popular far-right meme. According to the DFR Lab, the account was set up on Sept. 9. It's also supposed to be appear as though it's being run by a young woman. @RenateBiller's tweet was amplified by an army of Russian-language bots right around the same time as the #Wahlbetrug hashtag started to get tweeted heavily by accounts located in Eastern Europe. A Russian hacker linked to a network of Twitter bots told BuzzFeed News he and 30 other people in Russia had been promoting messages favorable to AfD during the election. 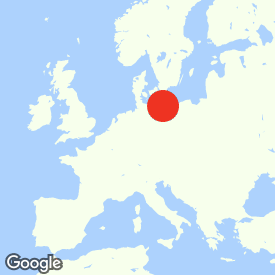 The man, who identified himself only as Alexander, provided BuzzFeed News with a phone number with the area code of the city of Nizhny Novgorod, Russia, and logged his IP address from the same area. Alexander said that his “marketing” company includes 30 other people based in different parts of the country. He offered to sell BuzzFeed News 15,000 pro-AfD posts and retweets for 2,000 euros. BuzzFeed News used the false identity of “Jenny” to communicate with Alexander, but we identified ourselves as BuzzFeed Germany in the first message and explicitly told him our questions were for publication. Meanwhile, @von_Sharingen's tweets about voter fraud made their way into the Reconquista Germanica Discord group on Sunday afternoon. Users also shared the #Wahlbetrug hashtag, as well as @Hartes_Geld's tweet telling his followers to go after the account. According to a search by BuzzFeed News, in the hours leading up to the election, the @von_Sahringen tweets were mentioned four times on the Discord server. The Reconquista Germanica Discord has a Twitter room where users organize their Twitter activity. It was used Sunday to amplify, among other things, the election fraud conspiracy. The AfD said in a release early on in the election that it wouldn’t use Twitter bots during the campaign, but that didn't stop party members like Deputy Chairman Markus Wagner from retweeting bot accounts when they started pushing pro-AfD conspiracy theories. Election fraud also became a huge talking point on AfD Facebook pages, pushing the conspiracy theory even further. It's unclear how often this type of thing happened in the lead-up to the German election, but what we do know is that AfD — and Germany's far right — had a huge victory on Sunday. They came third in the election, with a projected 13.5% of the vote. They're set to be the first far-right party to enter the German parliament for the first time in 65 years. It also reflects a larger shift to right for Germany as a whole. Merkel’s Christian Democratic Union and its Bavarian sister party the Christian Social Union are on course to get 33%, the lowest for the parties under Merkel. And the Social Democratic Party, led by Merkel’s main opponent, Martin Schulz, is expected to win 21% — its worst ever result.